The Benko Products SAHARA HOT BOX drum heaters and ovens are recognized as the industry leader in 55-gallon drum and tote heating equipment. Our electric drum heaters feature state-of-the-art digital controls with independent over-temperature protection. 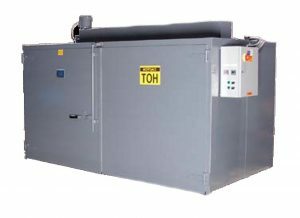 Low-watt density heaters assure years of trouble free operation. • Zero-Ground Clearance for Pallet-Jack Access. • Precise digital temperature control with overtemperature protection. • 12 gauge interior and 14 gauge exterior walls. • Integrated framing and structural members ensure toughness. • 304 stainless steel construction available. Set in place and hook up power. 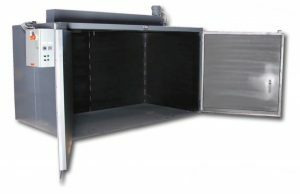 All Sahara Hot Boxes carry a 3 year warranty and are backed by years of fabrication experience and drum oven expertise.